Hammersmith is a welcoming neighbourhood known for its array of dining options and sightseeing. You might plan a visit to Hammersmith Apollo while you're in town. 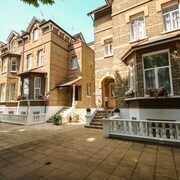 With hotels to suit everyone's tastes, Hammersmith serves as a good starting point for exploring the greater London area. 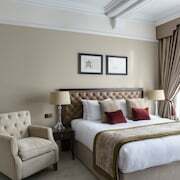 St Paul Hotel: 4-star hotel with a restaurant, a bar/lounge and free WiFi, 10-minute walk from Hammersmith Apollo. 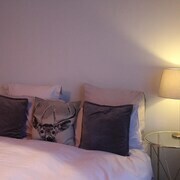 Our guests enjoy the hotel's comfortable rooms and walkable location. 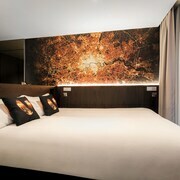 Flynn's Town House: 3.5-star inn with a restaurant, a bar/lounge and free WiFi, 15-minute walk from Hammersmith Apollo. 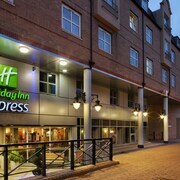 Expedia travellers like this inn's comfortable rooms and walkable location. 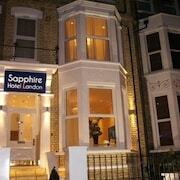 Room2 Hammersmith: 4-star aparthotel with free WiFi and laundry facilities, 11-minute walk from Hammersmith Apollo. Our guests rate this aparthotel highly for its spacious rooms and quiet location. A few attractions you might want to check out while you're in Hammersmith are Hammersmith Apollo and Broadway Shopping Centre. Natural History Museum and Westfield London Shopping Centre are also worth a stop when you're in the neighbourhood. If you want to explore some other parts of town while you’re here, consider a visit to the nearby neighbourhood of Hammersmith and Fulham to visit Hammersmith Apollo, Craven Cottage Stadium and Stamford Bridge Stadium. Other places worth visiting include Broadway Shopping Centre, Olympia Conference and Exhibition Centre and Parsons Green. If you want to see more of the city, Hammersmith Station is the closest metro stop. Others nearby include Ravenscourt Park Underground Station and Stamford Brook Underground Station.